Something rather delightful was waiting in the mail for me just the other week. I hadn’t been active much on this blog since work started ramping up again, so it was a pleasant surprise to find a package from Olfactif containing three samples of fragrances I hadn’t yet tried. Hey, smellies in my mailbox? I’m game. In Bottle: I went with the one sample that seemed to be the most lighthearted. With a series of notes sliding around in the fruity floral arena, I felt Perfect Nectar was a good one to start off with. A light citrus opening that dives right into its white floral roots. Applied: I get very little else but white flowers in this interpretation. It’s quite sweet and rather heady. The white florals taking the prominent podium for the majority of the show. With no base notes to go off of, the florals are pretty much all I get. Now, I like white florals just fine. There’s a definite sense of Perfect Nectar trying to hit a sophisticated note, but it does come off exceptionally strong and a little bit lacking in the depth department. Lovely as it is, there’s not a whole lot in terms of other notes. I get sweet florals for pretty much the entirety of its lifespan and it’s got a very long lasting lifespan. Extra: Perfect Nectar was released in 2000. Design: Lovely simple bottle. I’m a big fan of delicate little flourishes on bottles too. No frills, and none needed. Lovely bottle. Notes: Tangerine, blood orange, papaya, mango, ylang-ylang, green tea, white forals. Olfactif is a fragrance delivery service where the samples you get once a month introduces you a potential fragrance love. Did I mention that they specialize in niche so you won’t be faced with getting samples of painfully obvious fragrances? I love the concept. As for Perfect Nectar, I don’t think it’s the one for me as it is somewhat one-dimensional, a little too strong in the floral note and not nearly enough of anything else to keep me interested. If you are looking for a clean fragrance with excellent staying power and throw, this might be a good contender for you. 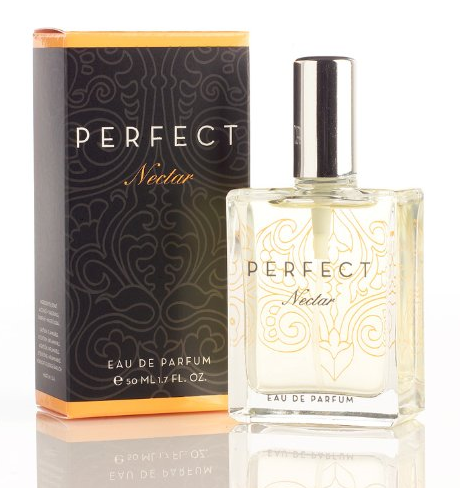 Reviewed in This Post: Perfect Nectar, 2013, Eau de Parfum.